We love lentils in our house – they are an easy, cheap protein that can be spiced and seasoned to taste completely different anytime you make them. 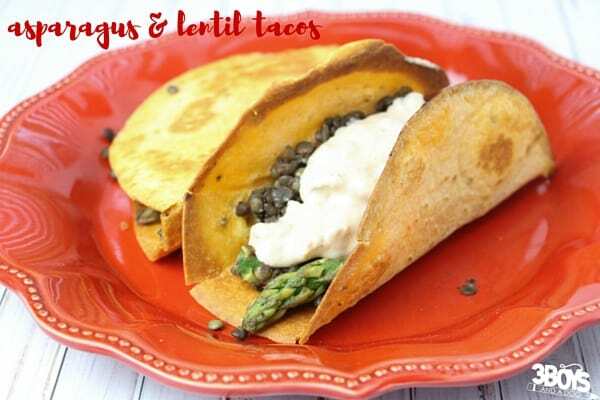 These lentil & asparagus tacos are a great meatless meal option and another great asparagus recipe to add to our collection! These asparagus tacos have to be one of my favourite easy weeknight suppers. 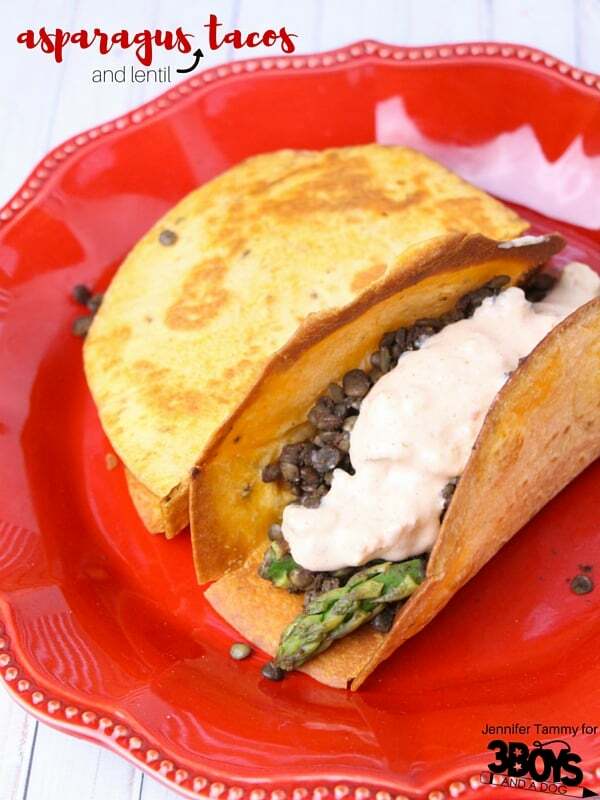 The lentils take the place of ground beef while the spicy sour cream gives the tacos something a bit unexpected. By using your own spice combination, you can control the amount of sodium in the recipe – making this a great option if you’re trying to watch your fat or sodium intake. 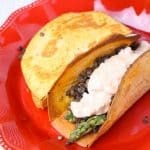 I personally baked my tortillas into a homemade taco shell (by hanging through the bars on the oven rack) but you can also make these into soft tacos by leaving the tortillas as-is. In a large nonstick skillet, heat the oil over medium heat until runny and hot. Saute the onion and garlic until tender, about 2 minutes. Add the lentils, chili powder, cumin and tomato paste. Cook and stir for 1 minute. Pour in the broth and allow to cook until boiling. Reduce heat; cover and simmer for 25-30 minutes or until the lentils are tender. For a spicy sour cream topping, puree the sour cream and salsa in a blender. Adjust as desired. When the lentils have absorbed all of the cooking liquid, spoon the mixture into each tortilla, and add 2-3 asparagus stalks. Top with spicy sour cream mixture and a sprinkle of cilantro. Have you ever cooked with lentils? 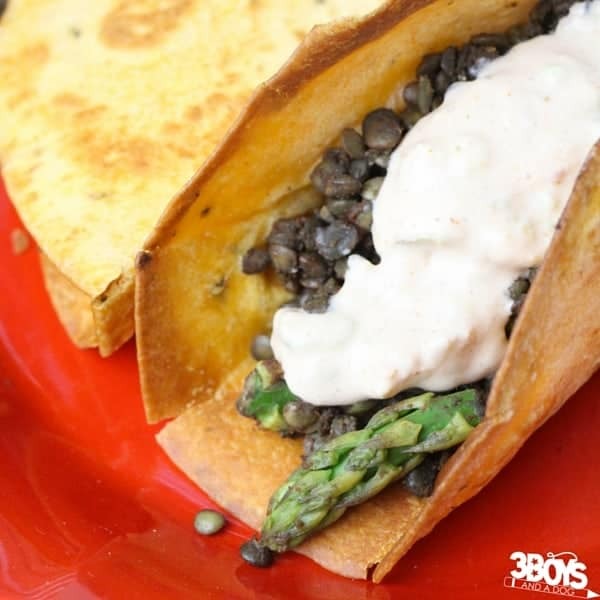 What is your favorite meatless meal to make for your family?